After showing off her dancing skills in the recently released song Ghar More Pardesia from the film Kalank the actress shared a teaser from the song Tabaah Ho Gaye from the film featuring co-star Madhuri Dixit who will be seen as Bahaar Begum. As the excitement among the fans increases, the makers of the film are releasing one song at a time. Alia took her Twitter account and showed a glimpse of Madhuri in the upcoming song. The actress captioned, “Make way for ‘Tabaah Ho Gaye’! Out tomorrow”. Madhuri in the teaser looked drop dead gorgeous in an orange anarkali suit with a golden pink shawl wrapped around her. A few observers said that Madhuri resembles her character of Chandramukhi in the 2002 romantic flick Devdas. 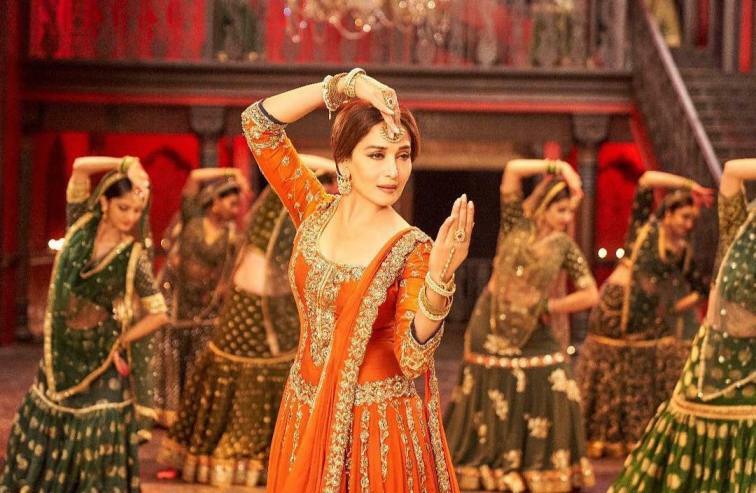 Kalank is one of the much awaited films of 2019 and is all set to be released in theatres on April 17, 2019. The film is helmed by Abhishek Verman and jointly produced by Karan Johar, Sajid Nadiadwala, Hiroo Yash Johar and Apoorva Mehta. The songs that have been so far released by the makers have already caught the attention of the listeners and have become an instant hit. The film also stars Alia Bhatt, Varun Dhawan, Aditya Roy Kapur, Sanjay Dutt and Sonakshi Sinha playing the lead roles.